Vijay's Puli will be loved by the children especially! THINGS YOU WANT TO KNOW ABOUT PULI! A little more on Puli that you’ll want to know!!! 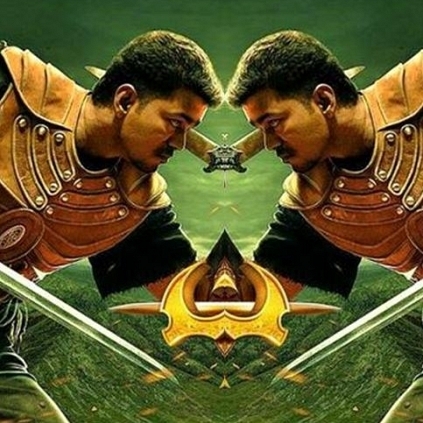 When contacted, the source guarantees, "Vijay’s Puli will be one-of-a-kind film loved by all, more so by the children. Every frame will be eye-catching and colourful. When somebody like Vijay with dedicated fan following has taken up an alternate commercial route, he separates himself from the crowd and sets an example here. He is almost leading it from the front. We are all excited about the project and irrespective of the prospects, the film will make a very strong mark in the industry. The story, dialogues, costumes, VFX, Vijay’s performance and other suspense elements will be the major highlights". Aiming for an early release, sources aver that Puli will be much talked about in Tamil cinema in the coming days. Wedding bells ring in Vaalu team!!! A never-before character for PULI...! is Romeo Juliet going to Bollywood ? An intense love ballad from a sensational singer ..
Puli grabs the No.1 spot like a Boss ! What made director Mahendran agree to Vijay 59? People looking for online information on Ilayathalapathy Vijay, Puli, Puli teaser will find this news story useful.